It is perhaps unsurprising that in a country where cell phones vastly outnumber land-lines, high-tech communication would be leading the way in business. Even with the proliferation of smart phones and computers, the Chinese culture has not adopted voicemail or email as standard business practice. Instead, China turns to text messaging. Specifically the multi-media communications platform QQ. QQ is one of the most popular instant messaging platforms in the China business world. China businesses rely on QQ to communicate with each other, sending sample product images, documents and other instant reminders. According to Wikipedia, the number of simultaneous QQ users on-line has exceeded 100 million! While in the west it may seem unprofessional to use a text platform for business, it is widely accepted and preferred throughout China. Round Bridge maintains a business QQ account to communicate with all of our China vendors, 2378633048@qq.com. 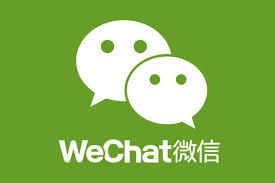 WeChat, also known as WeiXin, is another multi-media tool developed by Tencent Holding Company. It is being quickly adopted by people in China as well as in overseas. WeChat launched in October 2010 and by January 2013, it had exploded to 300 million users. It also has the functionality of instagram. Users may share views, photos and articles among friends. According to China Daily, WeChat has enabled online transaction for selected merchants by linking a payment service to its popular WeChat smartphone application. We will see in the near future how they will compete against Alibaba, another online ecommerce giant in China!